(ThyBlackMan.com) Every now and then, some families get to experience “that intervention moment.” This is when the uncle who’s been getting high, drunk and abusive every single day finally admits that he might have a problem. Of course he still minimizes the significance of his issues, but he has at least opened the door to getting the help that he needs. For the American justice and economic systems, the NCAA is the addicted uncle. But rather than being hooked on drugs, the NCAA is addicted to the highs of capitalism and corporate greed. By being able to skirt the legal and moral parameters of our society, this professional sports league has been able to extract wealth from student athletes and the African American community to the tune of several billion dollars. The NCAA’s new president, Mark Emmert, shocked the world when he admitted that it might be time for student athletes and their families to share in the massive revenue streams being generated by their kids. Emmert has admitted that he would like to “explore” the issue of modestly increasing the scholarship limits of student athletes in revenue-generating sports, primarily football and basketball. While remaining far from admitting that there should be significant changes, Emmert has confessed to the fact that the financial asymmetries might be a bit uncomfortable. Hmmm, let’s see if there is any imbalance, shall we? Well, this year, the NCAA’s March Madness tournament is going to generate $711 million in TV rights alone (not including concessions, apparel sales, ticket sales, etc.). The Bowl Championship Series generates $125 million per year in endorsement money. The NCAA has a 14-year, $10.8 billion deal with CBS and Turner Sports. Coaches like Rick Pitino are guaranteed over $7 million in salary this year alone, primarily because his players show up to work every day (basketball games can’t happen without basketball players). So, some would argue that perhaps the system needs a little bit of tweaking. Even former NCAA Executive Directors admit that the financial disparities have gone too far. Former NCAA Executive Director Walter Byers argues directly in his book, ‘Unsportsmanlike Conduct’ that “What the colleges will not do voluntarily should be done for them,” meaning that the remedies for NCAA exploitation will likely lie in the court of law. The class action lawsuit being filed by former athletes for the use of their images in video games is a great start. Of course, the NCAA’s suggested changes are not radical. Emmert is tossing around the idea of increasing the amount of discretionary funding for athletes so they can buy groceries or go out on a date without having to beg for money. The idea of providing “full coverage scholarships” is a positive, yet incomplete, first step. What ultimately needs to happen is that Congress and the courts should re-examine the NCAA’s tax exempt status and also consider the numerous ways in which the league is being allowed to violate anti-trust law. By putting a choke hold on the other options of young athletes, the NCAA uses its monopoly status to keep players from having other places to sell their services (it would normally be illegal for all universities to collude into one association that restricts worker salaries, but the NCAA is allowed to do that). Emmert remains resistant to making student athletes into employees, claiming that paying athletes would jeopardize the purity of amateurism in college sports. The problem is that much of this so-called purity is already lost by the tremendous pressure placed on athletes who make money for the university. In fact, many basketball and football players would not even be allowed on campus if it were not for their athletic ability. So, if coaches aren’t forced to become professors, then why should athletes be forced to become students? An equitable system would allow athletes the right to negotiate a fair market wage and give them the option of paying their own tuition. Many athletes come from single parent homes, so the financial problems that might normally be solved by their fathers are being thrust upon the young men trying to balance both school work and busy athletic schedules. In a perfect world, the simplest solution to NCAA tyranny is this: the athletes should just stop playing. If the top athletes in the Final Four were to simply stay off the court, that would put athlete compensation on the fast track of NCAA priorities. The silly arguments for not sharing revenue would disappear as fast as a player’s scholarship does when he gets injured. For example, many argue that players should not be compensated because many athletic departments don’t make a profit. But it’s interesting that this so-called lack of profitability has never kept schools from paying their coaches. The NCAA is going to avoid sharing revenue for as long as it possibly can. This is human nature, for almost none of us would want to share money if we didn’t have to do so. 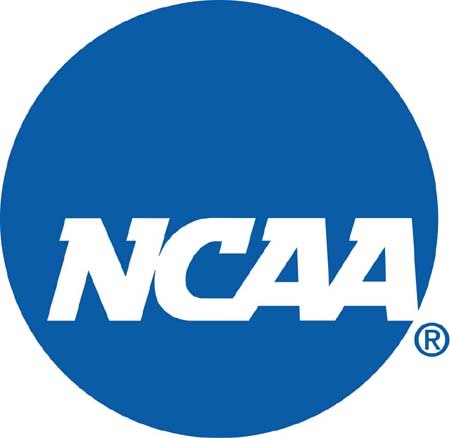 In agreement with Walter Byers, the greatest opportunity for NCAA reform is going to have to come from outside the institution, with the courts, Congress and perhaps even the athletes serving as the primary catalysts. This terrible and embarrassing problem is finally getting the attention that it deserves, and it’s time for the NCAA to do the right thing. This is a very important issue that must be discussed. But how can it be done if it were to happen? While increasing athletic scholoarships can be influential, if that larger refund check goes to that student, the places where they spend their money wouldnt prove to be a sound investment in the long run future. As the commercial says, there are thousands of college athletes that will go pro in something other than sports. I think a good investment would be in the community. Things like more advanced libraries, along with propaganda that promotes reading being powerful and influential; there should be investment in the parks and recreation centers. There shouldnt be any more investment in the infrastructure of the college because these powerhouses are already state of the art facilities. Coaches shouldnt get the kind of salaries they get; this phenomenon is similar to the amount of money rookies get when they sign those mega, wal mart-esque contracts, along with the salaries of the athletic directors. This situation can be solved amicably, and although it will be a long time from now, it can happen. Peace and love.